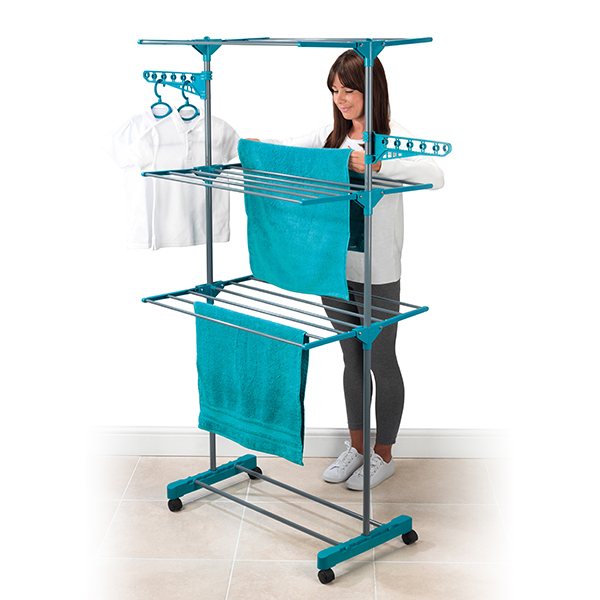 Make all your household laundry chores a breeze with this indispensable clothes airer and basket set from Beldray. 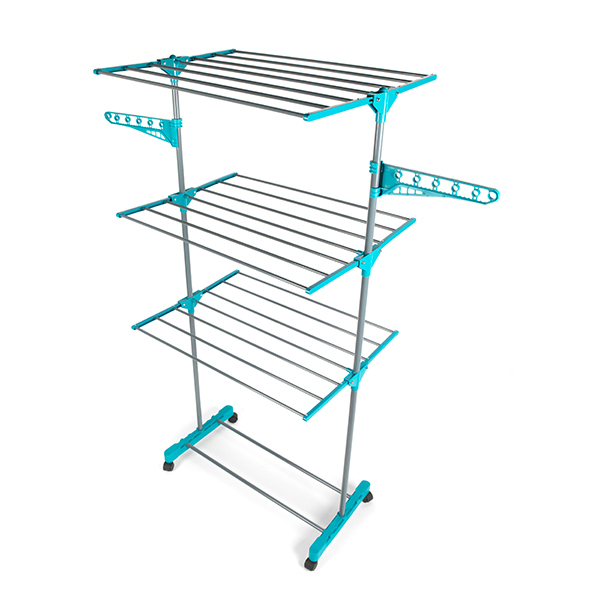 Ideal for new homeowners, the collection includes a foldable 3-tier airing rack made of durable 3.2 mm steel, as well as two plastic lattice and bowl style laundry baskets. 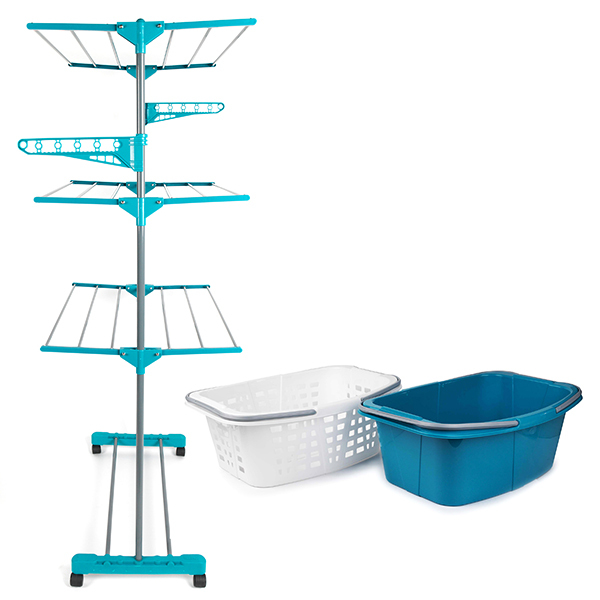 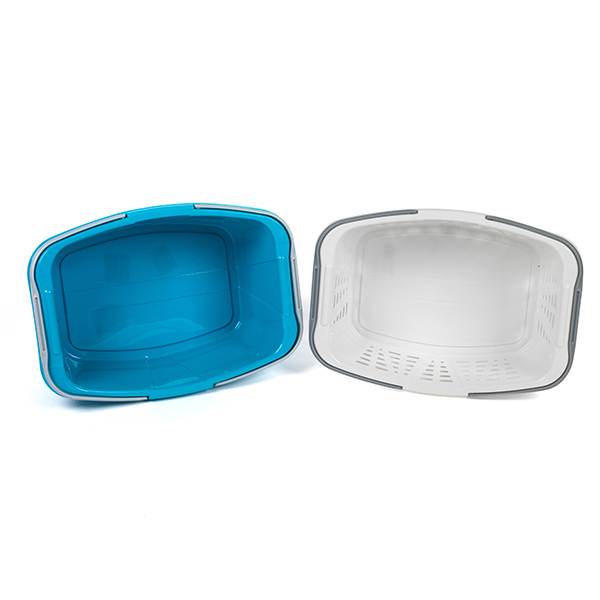 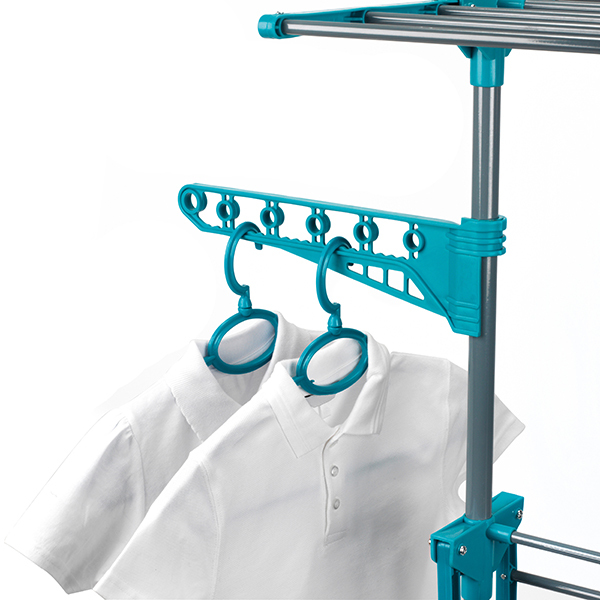 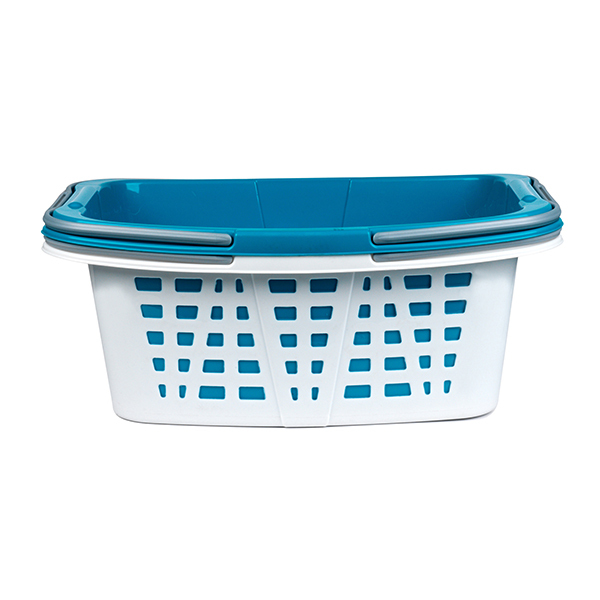 With 15 m of hanging space, the turquoise airer allows you to dry a huge load of washing in one go, while the generously sized 26 L baskets make putting your freshly dried clothes away a hassle-free experience.